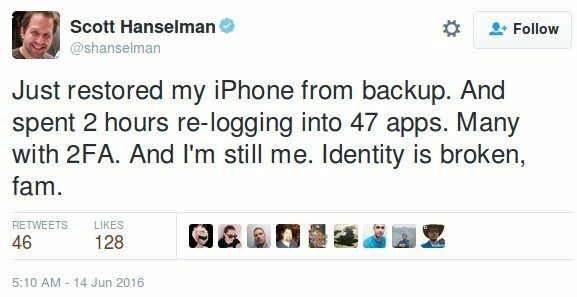 I know it's an extreme case, clearly Scott is a techy, he embraces 2FA and he clearly uses a lot of web services. But imagine a non-technical person having to go through that, or just half of that. They simply wouldn't. WiKID's capability for multiple tokens for a single username really helps out here. Many power users have multiple devices, phones and tablets or a PC token could be placed on an encrypted drive. A lost device might mean re-registering, but with less anxiety. The benefits of two-factor authentication are clear. But it's also clear that we've got a ways to go.